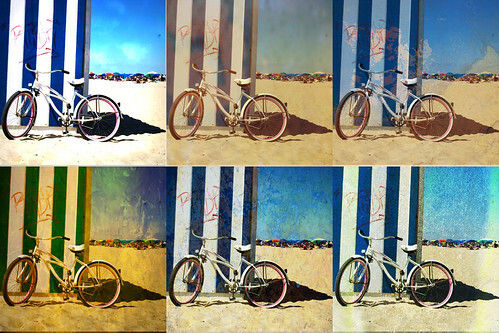 I shot this bike at Rehoboth Beach, Delaware using my Nikon, and then after I synced the photos to my iPad I used Trey Ratcliff’s 100 Cameras in 1 to do a little processing. At first I was sort of overwhelmed with 100 Cameras in 1, because, hey, that’s a lot of cameras! But I’m slowly getting used to it. It’s quite a difference from Plastic Bullet, one of my favorite iPhone photo apps, but it’s growing on it. The Doctor and I spent a few days at Rehoboth Beach, Delaware. Here’s a hand-held panorama I shot, as I didn’t bring the tripod or panohead with me on vacation, since I was traveling light. If you want the large large large version, head on over to Flickr.